Organised by a group of 35 students at the University of Aberdeen, ESES is one of five Regional Student Energy Summits that will occur simultaneously with events in Africa, Asia, North America and Latin America, linking 300 European students with 1200 other students from around the world. 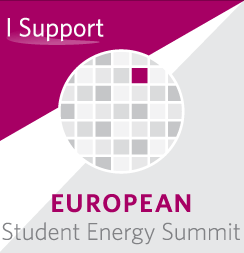 The theme of the 2014 Student Energy Summit is “Powering the Future”. ESES will challenge this group of multidisciplinary post-secondary students from across the continent to both question and understand the key issues within their region, and to further comprehend them within the larger context of existing and future global energy dynamics. We are also delighted to announce that Ian Phillips, Technical Sage at Pale Blue Dot Energy will be one of the speakers at the ESES Carbon Capture and Storage session. Next Entry The Wood Review: Back to Britoil?